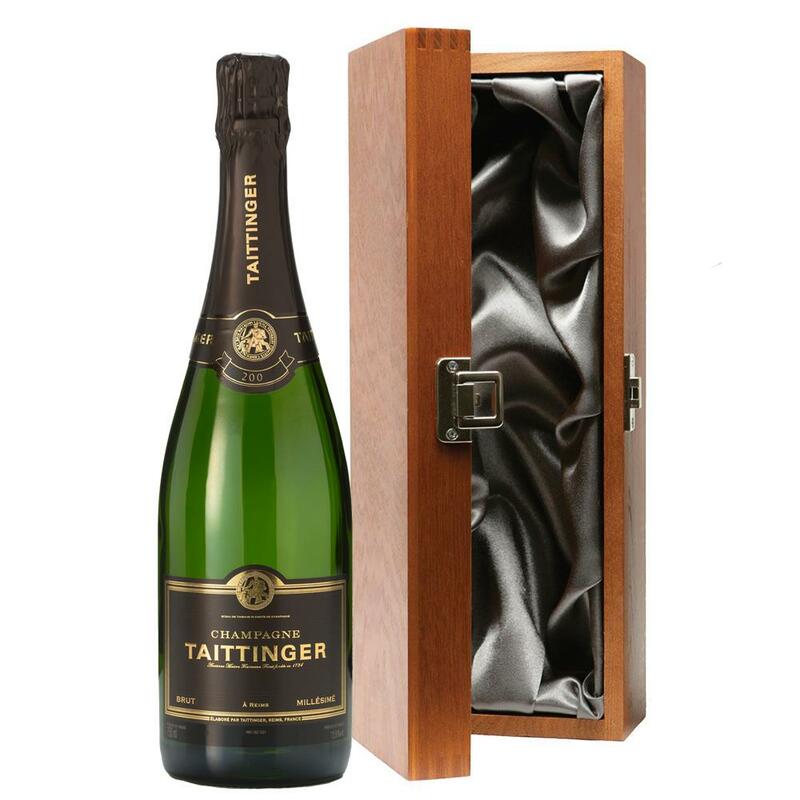 Luxury added to your bottle of Taittinger Brut Vintage 2012 Champagne 75cl with the alluring wooden case with hinged lid. The case is made from wood, which is beautifully complemented with stainless steel hinges and clasp. This case adds the ultimate luxury to any gift and is delicately lined with silver satin. 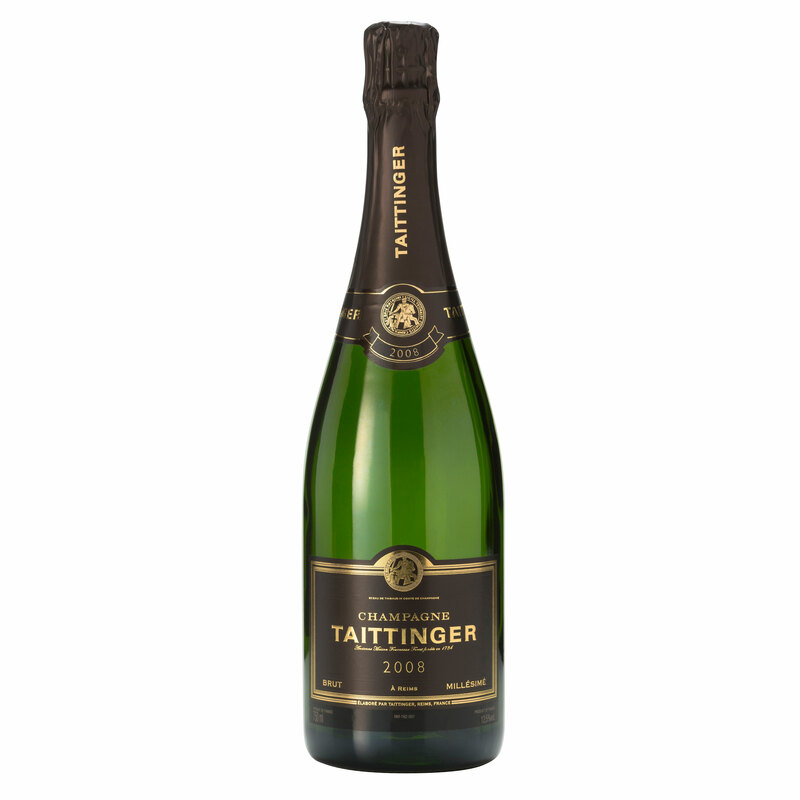 Taittinger Brut Millesime is a pale radiant yellow with an abundant of fine bubbles rising to form a delicate persistent necklace. 50 Chardonnay 50, Pinot Noir. The first impression on the nose combines flintiness with yeasty bread aromas. This quickly gives way to a fine, intense, sweet fruitiness, of crystallized fruit scents of lemon and mandarin with a flowery touch of acacia honey. The exceptional intensity of the finish is long, generous and complex. Although still young, Taittinger Brut Millesime already possesses a remarkable balance between delicacy, elegance and finesse. Its immeasurable freshness suggests excellent ageing potential. This product is hand packed onsite by Bottled and Boxed, and is not affiliated with any other brand. Bottled and Boxed is responsible for this product combination/set.